Join us for the public Friends x Family launch celebration of Academix BEAT Lab. It's also the re-boot for the Freedom of Beats party and special celebration of the life & times of DJ Revolution and Justin BUA. That's a lot to celebrate and it's all for a good cause. The event will include special guest DJ's and appearances TBA. 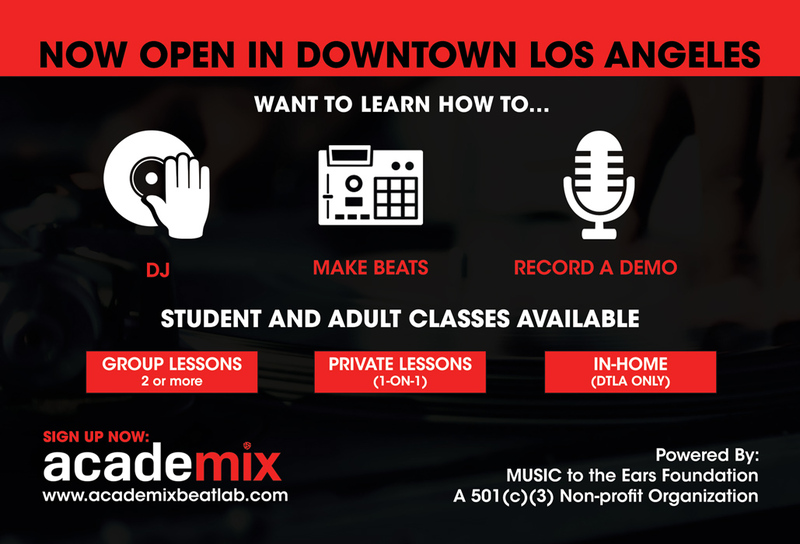 Academix is a Music Ed/Tech BEAT Lab, powered by MUSIC to the Ears Foundation, a 501(c)(3) non-profit organization based in Downtown Los Angeles. We offer music education and training to students of all ages and skill levels.